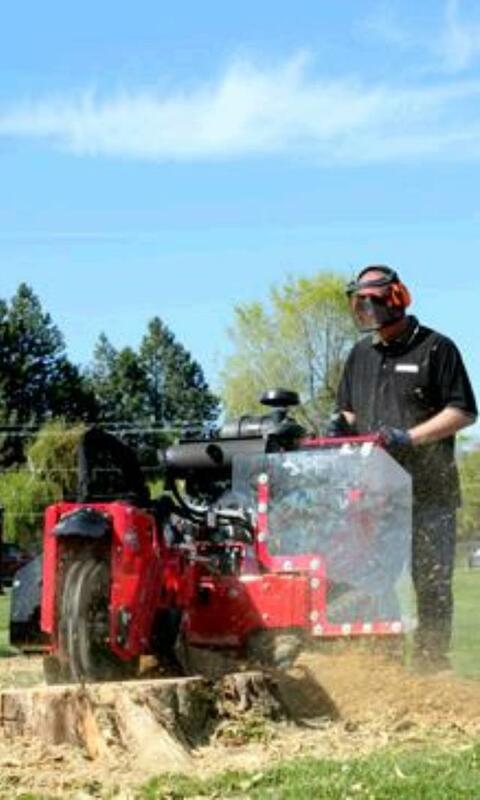 When comparing prices on track stump grinder rentals in Milpitas, Gilroy and Fremont, ask about sales tax and environmental fees. Trailer Available At Special Rate When Rented With This Equipment. Don't dig up your tree stumps, grind them and large roots below ground. The 1,670 lb. frame keeps the unit stable and in proper contact with the stump. The track system features a true skid-steer type drive and provides excellent maneuverability, allowing the operator to easily transport the unit to and from the work site. 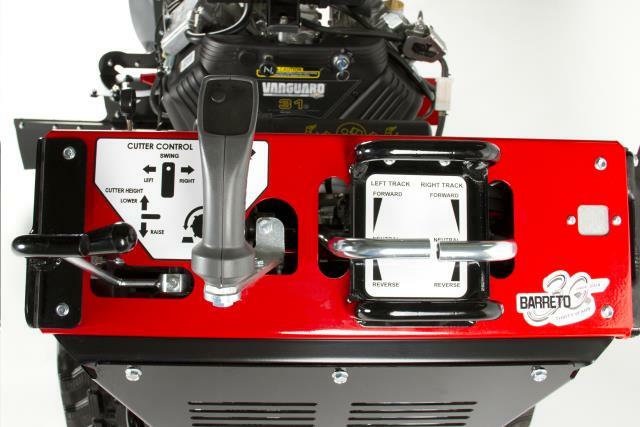 Intuitive controls provide one control for each track and a joy stick to control all cutting head functions. There are no belts to the cutting wheel. The hydraulic direct drive eliminates the need for expensive drive belts. A brake on the cutting wheel makes for safer operation. The unit will easily fit through 36" gates. The open and accessible body style allows for easy service and maintenance. A low center of gravity helps the stability of the unit on uneven terrain. 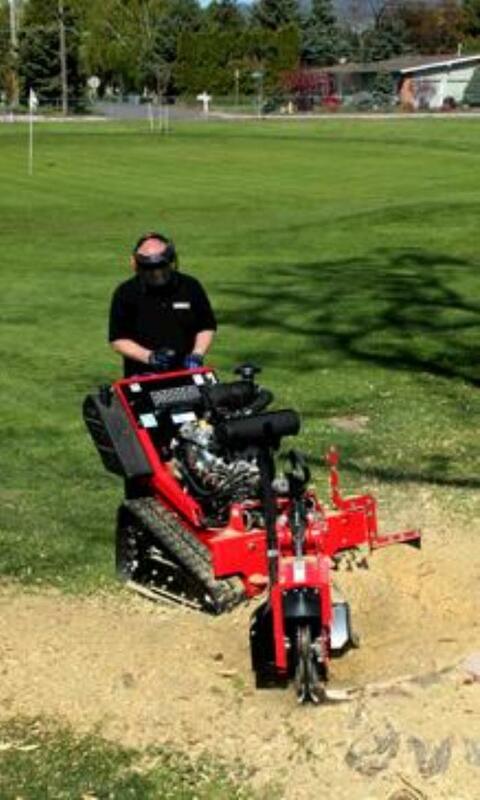 * Please call us for any questions on our barreto track stump grinder rentals in San Jose, Campbell, Salinas, Santa Cruz, Watsonville, Morgan Hill, Hollister, Santa Clara, Gilroy, Milpitas Sunnyvale, Fremont, Salinas, the Greater Bay Area and the Monterey Peninsula.